Host Student Ltd are pleased to offer this fully furnished 5-bedroom student accommodation property for the next academic year. 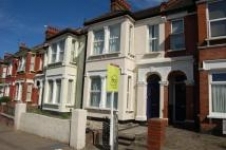 Weekly rents are for secure rooms in a house share in West Road, Westcliff-on-Sea & include BT broadband internet access. This is a popular property for those studying at the University and working at Southend Hospital due to its excellent location. The property benefits from an open planned kitchen and communal area, a large gardens and large rooms.